There are both advantages and disadvantages of settling a Santa Ana personal injury lawsuit with a court trial or deciding to settle that claim out of court. The legal path that you choose in your personal injury lawsuit will depend on the extent of your injuries and the outcome you most desire. In this article, we will discuss the advantages and disadvantages of taking your personal injury claim to trail or deciding to settle your claim out of court. Faster Compensation– When you decide to settle out of court for your personal injury claim, you could receive compensation for your injuries faster. This isn’t necessarily always the case, but it is probable, as litigation can prolong a Santa Ana personal injury lawsuit. Legal Fees– It is true, going to a trial is a long process and can cost more money. You can avoid costly fees when you decide to settle your lawsuit out of the courtroom. Avoiding a Lengthy Process– When you pursue a personal injury case, an outcome will likely take more time in court. When you settle out of court, you will not be at the mercy of court proceedings, hearings and a docket of other cases that a judge or jury will need to hear before your case. Courtrooms are Unpredictable– A judge or jury can be unpredictable when deciding personal injury cases. An initial consultation with an attorney help reveal whether or not you have a lawsuit appropriate for the courtroom. A Private Option– If you are a private person and do not want your personal information laid out in a courtroom among a number of people, an out-of-court settlement may be a better option for you. Less Compensation– The goal in a personal injury case for an insurer or business, is to settle the claim as quickly as possible and for as little money as possible. This may mean that your best interests are not always served. In this scenario, your injuries may be seen more a nuisance rather than a problem that needs to be addressed. It’s Final – When you agree on an out-of-court settlement there is really no turning backwards, meaning, you cannot appeal the final decision. This might be fine in some circumstances, or do a great disservice in others. This is Bigger Than You– Cases heard in front of a judge or jury can create change. If your personal injury case is a part of a bigger problem surrounding a policy, organization or business; going to court may create or force change with a guilty verdict. 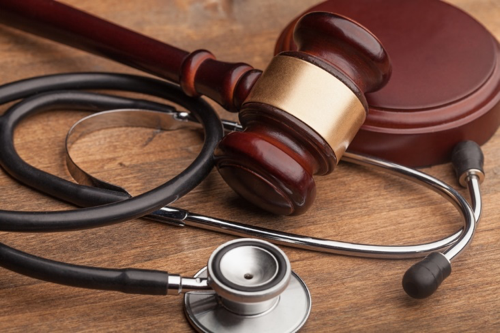 No matter which legal pathway you decide to take with your Santa Ana personal injury claim, you should seek legal guidance to learn about how to handle your specific situation. An experienced Santa Ana personal injury attorney can decipher your legal rights and explain how the process will likely work for your claim. Here are a few attributes you should look for when you hire a Santa Ana injury lawyer. Expert Negotiator– This attribute will help you regardless if you decide to settle out of court or take your case to trial. The art of negotiation is an important factor in personal injury litigation and should be a priority attribute when hiring an attorney. Proof of Success– Don’t be afraid to ask a potential representing attorney for a record of their successes within the personal injury field. You can also contact your State Bar Association to learn more about your attorney and their litigation record. The Right Skill Sets– Outside of having a good legal record, your personal injury attorney should have a particular skill set that can be advantageous to your case. This may mean they have tried similar cases to yours, they have experience in the industry or field you occupy, they have exceptional analytical skills, good research skills or maybe see advantages in your case that are not seen by others. Highly Communicative– It is not uncommon for lawyers to take a case and then become missing in action. Maybe they have taken on a caseload that they cannot keep up with or just disinterested in your case altogether. A Santa Ana personal injury lawyer should communicate clearly and effectively and be genuinely interested in the success of your case. Personal injury cases are highly specific and unique to every individual and situation, and you should get in touch with a qualified Santa Ana Inury attorney to review your case and learn more about the circumstances that surround it.